As part of a two-part series, I have asked various travel bloggers to provide their top suggestions on places you should visit in South America. You can use the menu below to jump to the different destinations. For the second list of countries use the link “Part 2”. 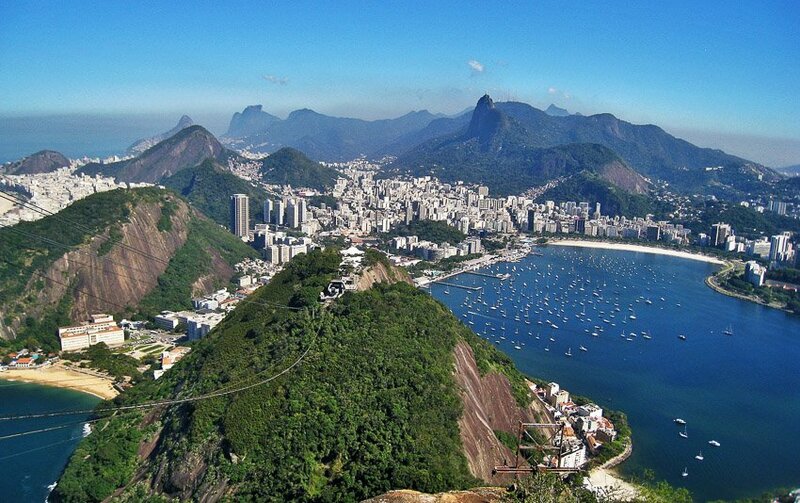 Rio de Janeiro is an amazing destination and true gem of South America. Located on the coast of Brazil, the city was built into the unique landscape of steep mountains. 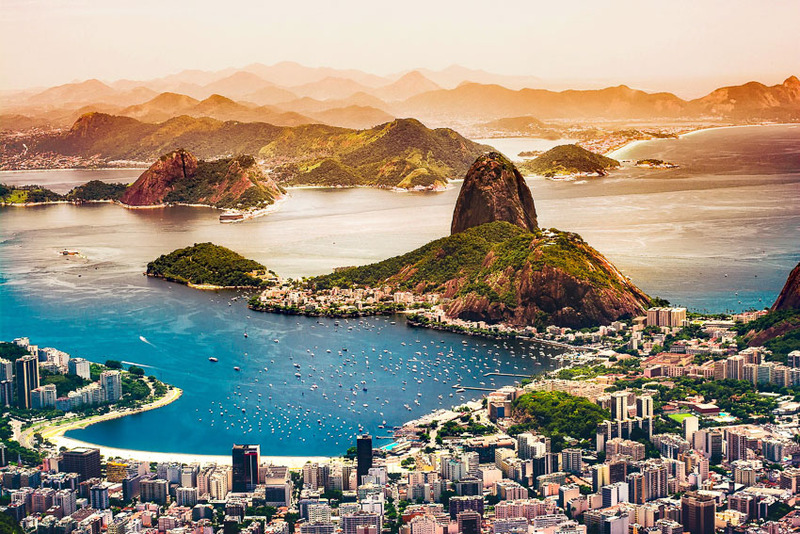 Two places to visit to view the city from above and take in its beauty are the Sugarloaf Mountain (Pao de Acucar) and the Christ Redeemer (Cristo Redentor). I highly recommend going up the Sugarloaf Mountain right before the sun sets to see the city at night. The street lights look like rivers and stream running through the mountains. Beyond the cityscape, the beaches are also wonderful in Rio with clear waters. You can spend days on the beach and choose from several destinations including the iconic Copacabana. I feel like the vibe in Rio de Janeiro represents Brazil as a whole with a welcoming spirit and easygoing atmosphere. Some of my favourite memories are just walking the boardwalk and stopping at a small shop to eating an Acai bowl or drinking fresh passion fruit juice. My mouth waters just thinking about the Brazilian Barbeque. The nightlife is rich with lively bars and clubs perfect to party and dance the night away. While Rio de Janeiro has had its fair share of bad publicity, I have found it to be very safe and relatively inexpensive. For anyone going to South America, I highly recommend making it down to experience Rio. 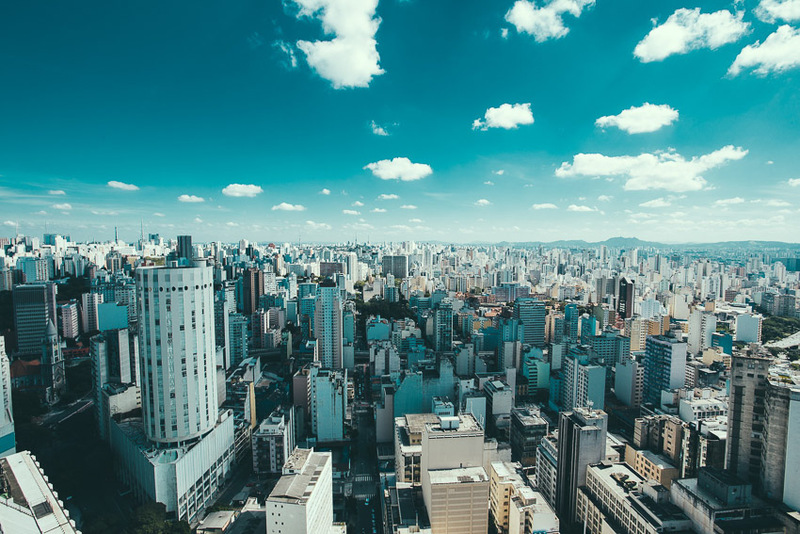 São Paulo is not one of those cities that will captivate you at the first sight. It’s not charming or pretty, but rather grey, gloomy, and incredibly big. With 20 million people living in greater São Paulo, traffic and smog became everyday reality for Paulistanos – São Paulo locals. Why visit this monster of a city, you ask? Because once you take a closer look, it becomes obvious that there are plenty of hidden treasures. Look behind the grey skyscrapers and you’ll find beautiful historic buildings like Municipal Theatre of São Paulo and Pinacoteca do Estado de São Paulo. Look past the crowds and you’ll see real people coming here from all over the world and bringing their culture and cuisine. São Paulo has the largest community of Japanese descendants outside of Japan and the largest population of Italian descendants outside of Italy, as well as German, Arab, Chinese, Polish and Korean communities. To feel the spirit of the city, stroll through the aisles of Municipal Market, constructed back in 1933, marvel at the window panels made of stained glass, and try foods from all around the world. Spend a few hours on Avenida Paulista, shopping and enjoying a fine dining experience. Catch a performance at Sala São Paulo, a concert hall built inside a historic railroad station. And if you get tired of the concrete jungle, recharge at the green and fresh Ibirapuera Park. Take your time to explore São Paulo and it will reward you with the most unforgettable experiences. The state of Minas Gerais is famous for its well-preserved colonial towns, all of them built on the riches of the first gold found in this region in the late 1600s. Ouro Preto is only around 400 kilometres inland from Rio de Janeiro – but you couldn’t find a bigger difference in atmosphere and building style. The first gold was found in 1698. Soon mines sprang up everywhere throughout the new settlement. For the Portuguese, this was a blessing, as their state coffers were empty and the government was in serious debt to English banks. By 1750 Ouro Preto had grown to over 110,000 inhabitants, making it the largest city in the Americas – twice the size of New York City at the time! The gold rush has long since died, although minute quantities are still found today. Nowadays you will find most gold on the elaborate altars of Ouro Preto’s many churches. There are 13 historic churches, many prominently located up on ridges. Most are in excellent repair, with beautifully detailed baroque features; others show slight signs of neglect. Ouro Preto is also home to the oldest functioning public theatre in America, the rather small Casa da Ópera, built in 1769. Twelve museums and a couple of open mines invite you to explore facets of the town’s golden past. Its atmosphere is characterised by mostly small historic houses, one or two storeys tall, decorated with colourful trims – giving the town a joyful and relaxed feel. Be prepared to walk up and down steep cobbled streets if you want to see some of its hidden alleys and treasures. On the other hand, Ouro Preto lends itself as a base to explore more of the region. It has all the facilities a visitor could wish for, and many hosts speak English. With personalised tours you can drive to the Santuário de Bom Jesus in Conganhas (another World Heritage site); nearby Mariana, another old mining town (this one is still active) with a beautiful historic centre; or the amazing Inhotim park, a botanical garden full of world-class art objects. 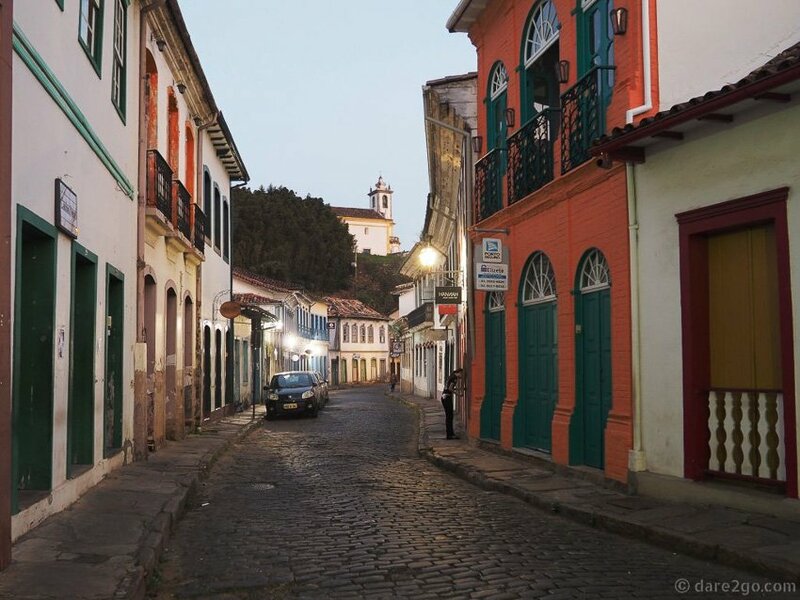 Allow at least a week in Ouro Preto to discover what the region has to offer! The Galapagos Islands have always been a top bucket list item for us. This is one of the few places in the world where you can get very close to the wildlife. The wildlife of the Galapagos has few predators, which has allowed them to flourish over the years. As such they have little fear, especially towards humans. The Galapagos is an archipelago of volcanic islands in the Pacific Ocean, around 1,000km (600 miles) from Ecuador’s coast. The name translates to The Tortoise Islands after they were discovered by a Spanish bishop in 1535 who was impressed by Diego’s ancestors. The wildlife also impressed another famous visitor in 1835 and inspired the theory of evolution. Charles Darwin noted that the unique creatures were similar from island to island but perfectly adapted to their environments, which led him to ponder their origin. We visited in October as part of a cruise and absolutely loved it. This is one of the few places in the world where you can get so close to the wildlife because they are blazé to humans. It’s not just above ground you get close to wildlife. 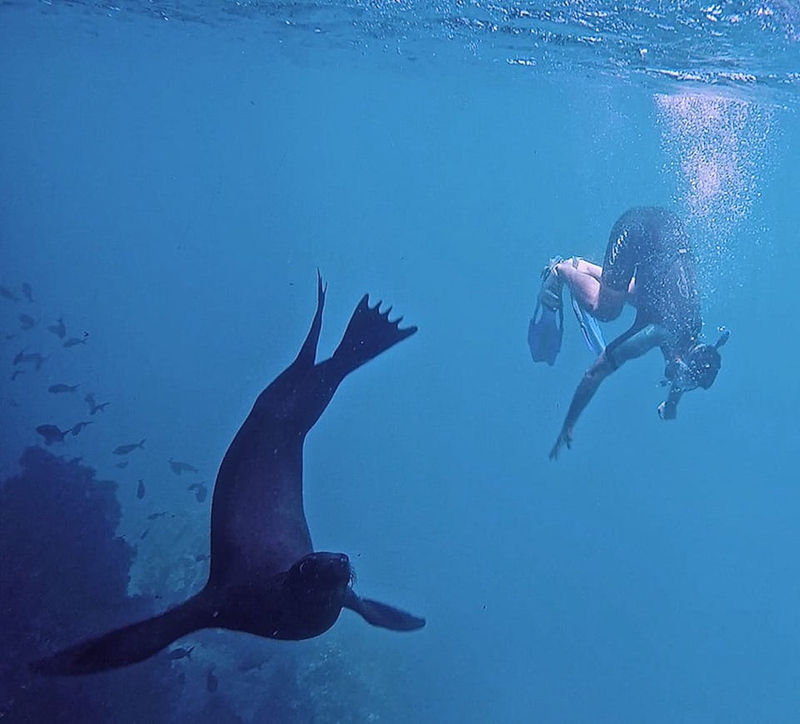 There are many opportunities to go snorkelling and discover the rich underwater world surrounding the Galapagos Islands were reef sharks, manta rays, tropical fish and of course the many playful sea lions await you. For us, the sea lions completely stole the show. Their curious and playful nature will completely charm the pants off you. They love to pose, are totally unafraid, noisy and highly entertaining. While the journey to Ecuador’s backcountry is a veritable odyssey, it is absolutely worth it to visit the province of Napo. 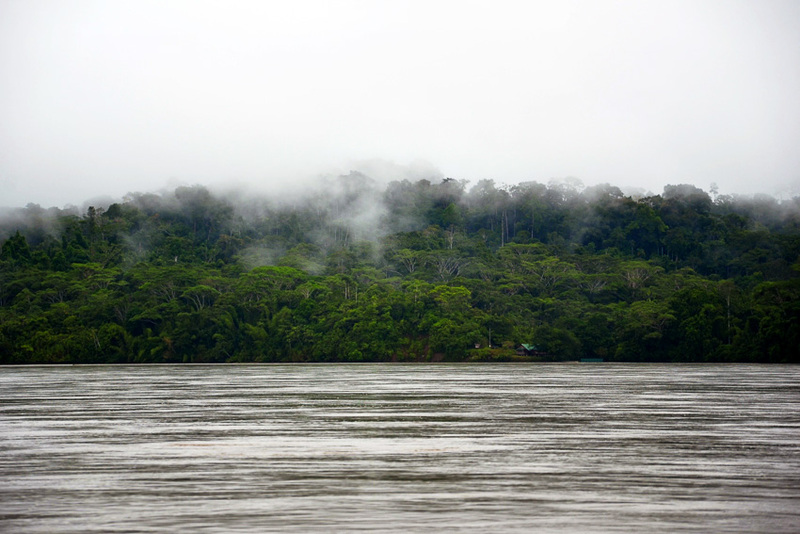 This region is located in the Oriente part of Ecuador in the Amazon rainforest and bears the name of the river Napo, which is an important influx to the Amazon. Here in the Yasuní National Park and the Antisana Nature Reserve, ecotourism in the rainforest is gaining in importance over the past 15 years. Probably the most beautiful area is the so-called Parque Nacional Yasuní, the Yasuni National Park, that is located about 250 km away from Quito, between the Napo and Curaray river in the provinces of Napo and Pastaza. It is a UNESCO Biosphere Reserve that includes the Yasuní River, a tributary of the Rio Napo. With, among other things, 2,274 tree and bush species as well as 593 bird species in this region, it is the highest density of mammalian, amphibian, bird and plant species throughout the Amazon. Also, various indigenous groups live largely isolated from the rest of the world in the Yasuni National Park. But visitors to this part of Ecuador are allowed to visit them, as well as the endangered piranha fish. 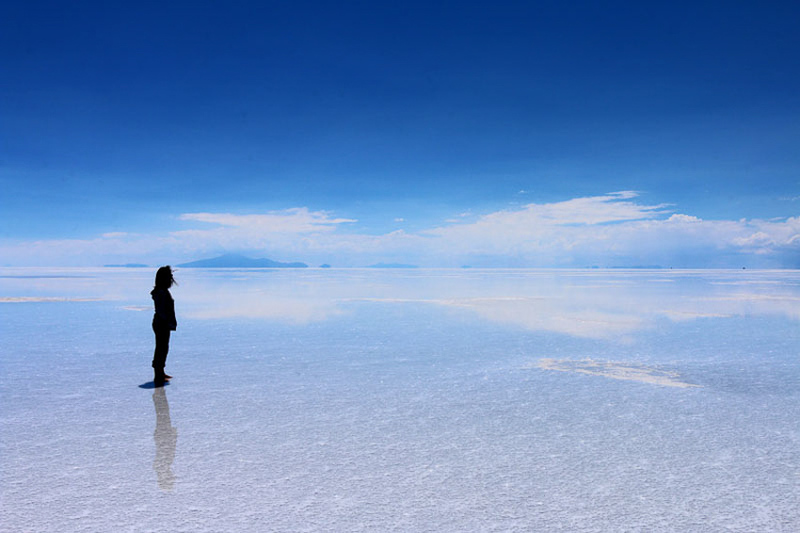 If there’s a limit to how beautiful a place can be, the salt flats of Uyuni in Bolivia South America clearly exceeds it. Sure, there are many stunning places around but that was just out of this world. A dessert made out of salt, covered by a thin layer of rainwater, and nothing else. No other car, no other person, no sounds, no llamas. Just you and the sky – above your head and under your feet. We’ve been to many incredible places, but the Salt Flats in Uyuni was the only place where all 6 of us were truly speechless. I mean, where else would leave 4 chatty kids out of words? It was worth all the uncomfortable buses, the crazy taxis, the crossing of roadblocks on foot, the altitude sickness, the sunburn, the sore feet, the horrible toilets, and all the stained clothes. The one day tour is beautiful and left us wanting more – now, I can’t wait for the kids to grow a bit more so we can return for a longer tour, to walk amongst the stars at night with them. It really is a dream of a place, and if you ever want to feel in heaven, that’s where you should go. Climbing Huayna Potosi in Bolivia is definitely one of my highlights travelling in South America. Don’t take this lightly, this is not something for beginners. That said when I arrived in La Paz, that is where the 3-day expedition to the summit starts, I had zero affinity with mountaineering. 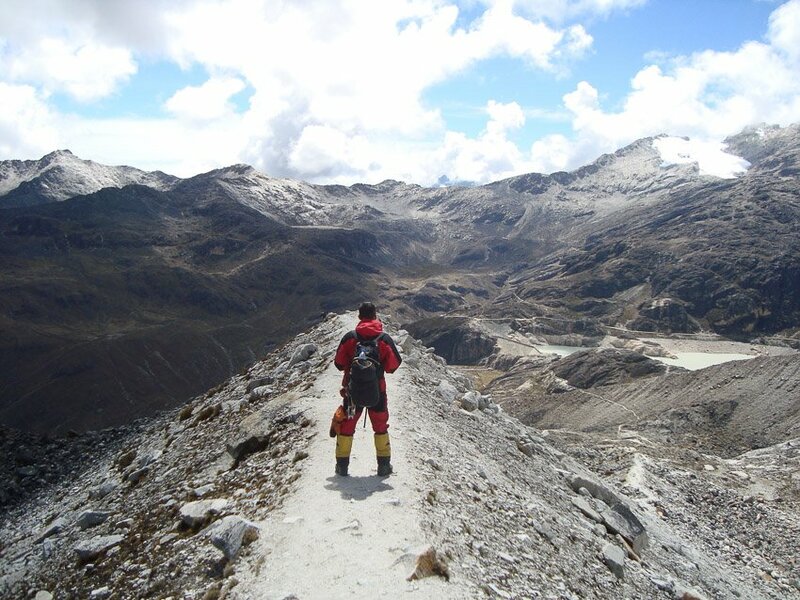 Huayna Potosi is considered one of the easiest 6,000+ mountains to climb in the world which means with a lot of determination and a good level of fitness this is doable. Mind you that this is by far the hardest thing I have ever done in my life, but it was so worth it. I will never forget the moment we finally reached the top and saw the sunrise over Bolivia in the far distance. Huayna Potosi is situated just a couple of hours outside the capital of Bolivia. You can easily book the expedition at travel agencies and guesthouses around the city. For a 3,5 day all-inclusive trip you won’t pay more than $130. That means you will get picked up, fit all your gear, driven to base camp, go on an ice climbing expedition, climb to snow camp, guided to the summit and returned to La Paz. Believe me, this is one of the best investments in your life! While climbing a mountain you will truly get to know yourself and your limits. If you are travelling in South America and ready to push your limits this is a must do. 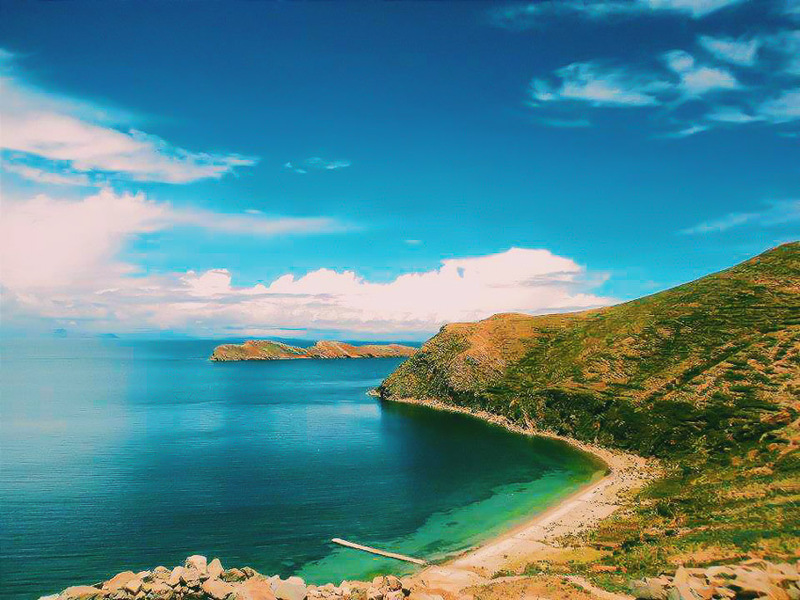 Isla del Sol is an island in Bolivia located in one of the highest lakes in the world: Lake Titicaca. It was my first stop in Bolivia and I was happy that it turned out that way. The landscapes were really awesome. You could walk for hours around the island while seeing the magnificent views. The infrastructure wasn’t the best but I think locals didn’t have a problem with that. They live simply but it was worth it because of their surroundings. Locals speak Amaro, a language in Bolivia. I encountered some old people in Isla del Sol who couldn’t speak Spanish. It was kind of surprising because Spanish is the official language of the country. At that time, the carnival was getting closer. This festivity was celebrated in South America. People would wear local costumes called pollera (long and wide skirt) and dance to typical Bolivian songs. I totally recommend travellers in Bolivia to visit Isla del Sol. You only need to take a boat from Copacabana. Before you go and leave Copacabana, get the things you might need in your stay in Isla del Sol since people there live with the basic things only. Once you get in Isla del Sol, you can either stay in the Northern or Southern part. I personally recommend that you stay in both but if you really need to just choose one, well, many people like to stay in the Northern part of this island. 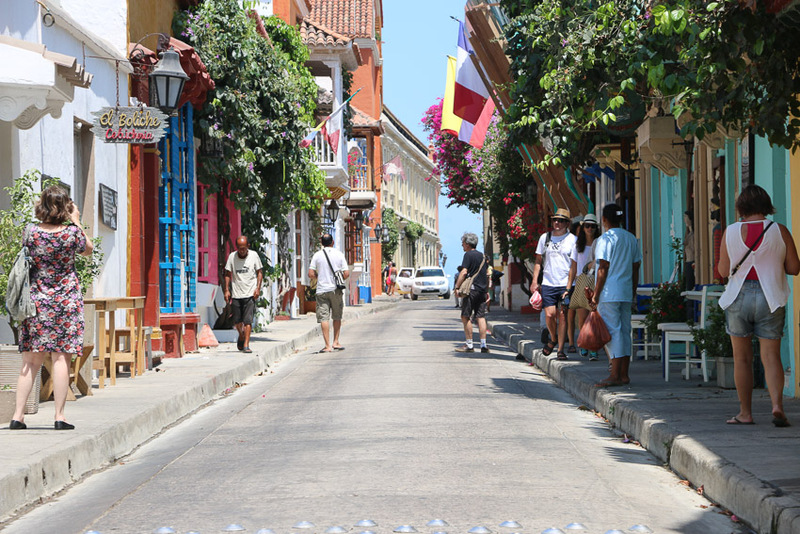 If you’re thinking of visiting South America, you may want to start in Colombia, specifically Cartagena! Cartagena was my first experience in Colombia and I couldn’t have been happier. This is a port city with a ton of history, old buildings, churches, squares, and it is one of the most colourful cities I’ve ever been in. Not only is it incredibly hard to take a bad photo here, but it’s also incredibly hard to have a hard time. 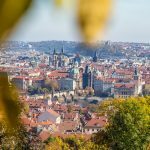 Wandering around the old colourful city will keep you busy for at least a few days – even though the area is compact and small. There are many places to grab a drink, get cheap and expensive food, and be entertained. You can grab street food like freshly squeezed lime juice and fruit like mangos. At night, there are many places to party into the late hours. There’s always something going on at night no matter the day. I really recommend checking out the sunset at Cafe Del Mar – which is a big open restaurant to chill out while the sun sets. Drinks are pricey but you pay for the atmosphere! Also, venture out of the walled city to Bocagrande – where all the high rise buildings are. This area is like the Miami of Cartagena, except a lot cheaper. You can nab a luxury hotel stay for a fraction of what it would cost in a place like Miami – with the South American lifestyle to boot! Cartagena is a touristy city so prices aren’t as cheap as other parts of Colombia, but it’s not expensive either. I personally recommend staying inside the walled city (old city) for the charm factor. It’s very easy to get out of the walled city with cheap cabs that are everywhere. You’ll love it here. Do it up! Nestled in the Caribbean Sea off the coast of Nicaragua, San Andrés island is paradise found. Across the ten square miles of white sand and palm trees, three languages are spoken- Creole, Spanish and English. Appropriately shaped like a seahorse, San Andrés is ideal for those wanting to practice snorkelling or diving, with crystal clear waters that are home to diverse marine life. The island connects to the third largest barrier reef in the world and is UNESCO Biosphere reserve with stingrays and barracuda among the creatures in the coral. Liveaboard boats are a popular way to experience the island with its diving and snorkelling opportunities, or why not splash out on a luxury hotel such as the Porta di Mare just steps from the beach. Budget hostels and hotels are also available, with rooms from around £25 per night. 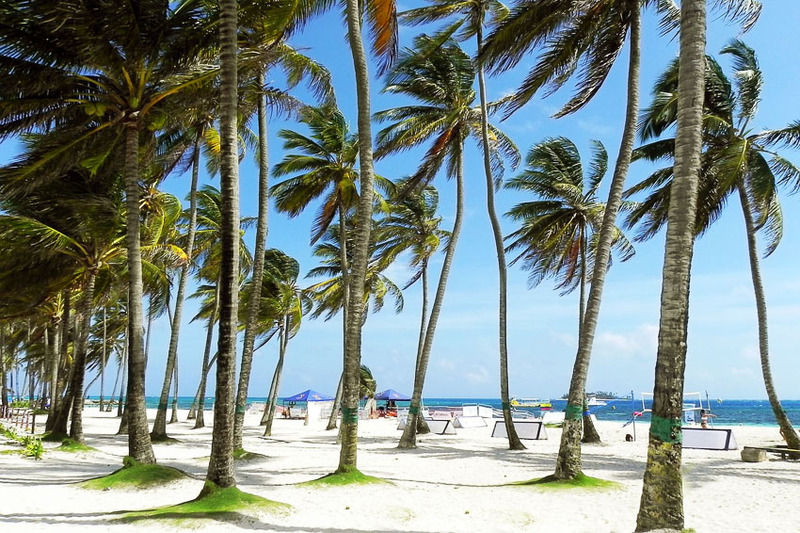 San Andrés only has two seasons: a wet season and a dry season. Travellers should visit in the dry season for perfect beach weather, or take a trip during the wet period to see lush green hills and the migration of the resident land crab. For days out try Morgan’s cave, an underground cave with a pirate theme and replica ship, or for nature lovers take a look at Hoyo Soplador where water spurts from a hole in the beach when there are strong enough waves. Whatever you decide to do on the island, you are guaranteed a once-in-a-lifetime experience somewhere that most people never get to visit. Leticia is one of my favourite places in the world and is seldom visited making it an amazing place to see as it is without many tourists. Located deep inside the Amazon jungle of Colombia, Leticia is a quaint town surrounded by tropical forest. Flying in a is a trip, as you see the giant Amazon river surrounded by a thick canopy of trees. As I flew over I wondered, “What is beneath that canopy?” knowing there was a plethora of flora and fauna, not to mention the odd tribe. You can only bus or fly into Leticia as there is no road leading in, but I guarantee it is well worth it! When I was there the river was higher than it had been in many years, causing the place to flood. They build wooden walkways to get people across streets and into shops and homes. At one point I was walking along one, unaware that it wasn’t fully built. When I realized, I hopped in the waist deep water and walked across the flooded street. Locals yelled in Spanish, “White girl in the water!” and cheered, making me smile. 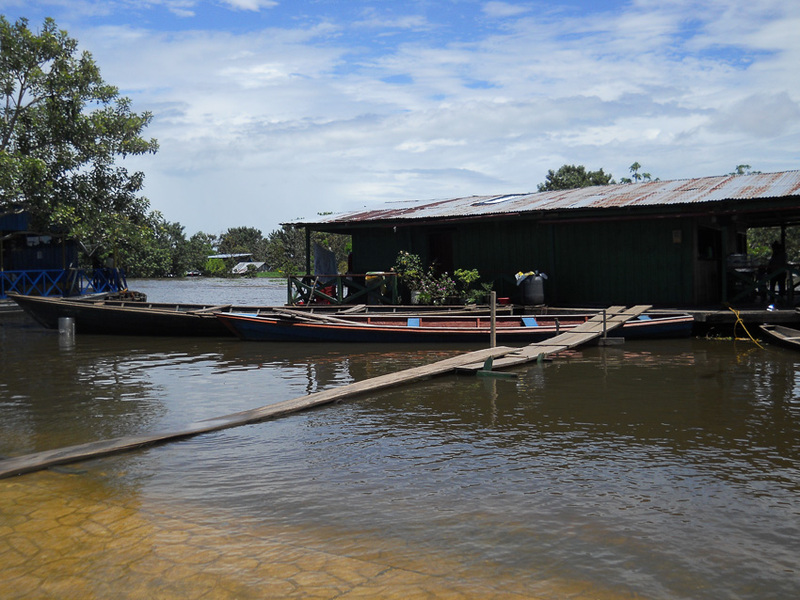 Overall, Leticia is an amazing place to visit and I highly recommend it on your Amazonian adventure! If so please leave a comment below. In part two of this series on top places to visit in South America, you will find lots more suggestions. You can use the menu below to go to that page. If there are other places you recommend please leave a comment below. 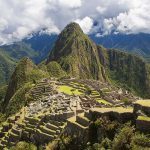 Hey Buddy!, I found this information for you: "Top Places to Visit in South America – Part 1". 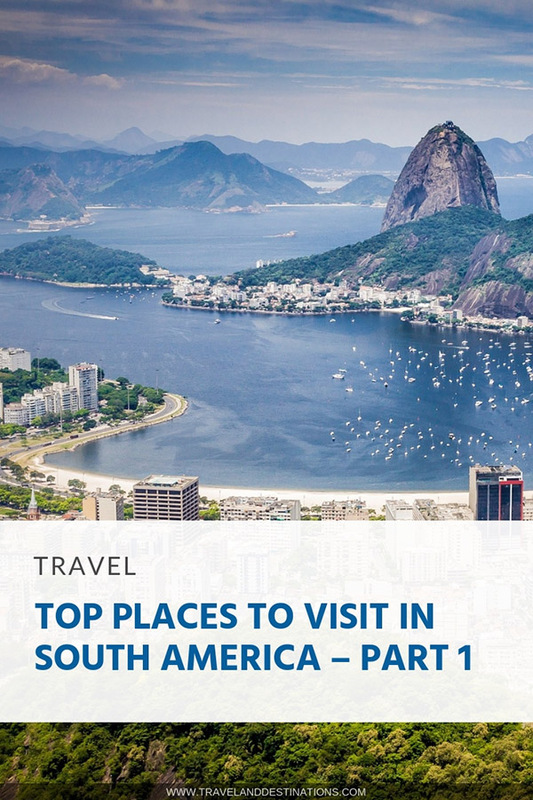 Here is the website link: https://www.travelanddestinations.com/top-places-to-visit-in-south-america-part-1/. Thank you.